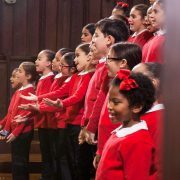 The Young People's Chorus of New York City is pleased to announce its debut in the Toronto Children's Chorus annual Junior Treble Festival. 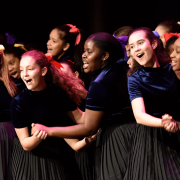 In addition to workshops and rehearsals with other singers from choruses throughout the Lake Ontario area, YPC will sing individually and also with the entire group in the festival’s closing concert. 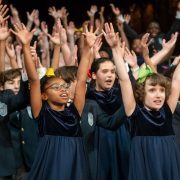 Young People's Chorus of New York City is pleased to return to the First United Methodist Church Schenectady for the presentation of their 41st concert series on Sunday, March 24 at 3:00 p.m.
Young People's Chorus of New York City is pleased to announce its debut at Our Lady of Lourdes Church. YPC’s award-winning choristers will weave together a program of music and show-stopping choreography in this “don’t miss” concert. YPC performs an excerpt from Julia Wolfe's “Fire in My Mouth" with members of the NY Philharmonic. 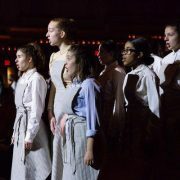 This Sunday afternoon performance is part of a weekend-long series of events and discussions on March 16 and 17 at the Fashion Institute of Technology to create a permanent memorial to this catastrophic event, which claimed 146 young lives. 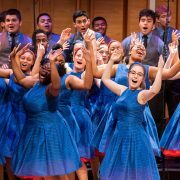 Young People’s Chorus of New York City, under the direction of Artistic Director/Founder Francisco J. Núñez, enter their fourth decade with a spectacular musical extravaganza. 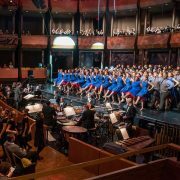 Together with a stunning line-up of special guests, including Broadway star Ashley Brown and Baritone Nmon Ford, YPC’s award-winning choristers will fill the stage and boxes above with show-stopping production numbers and dazzling choreography. 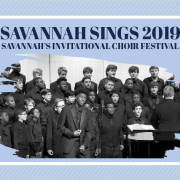 Young Men of the Young People’s Chorus of New York City will head out to Georgia, where on February 7 and 8 they will be the Chorus-in-Residence of Savannah Sings 2019, Savannah’s Sixth Invitational Choir Festival, under the direction of Artist-in-Residence Francisco J. Núñez and hosted by Festival Director John Tisbert. 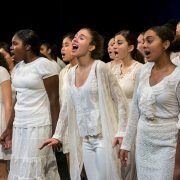 Over 100 female singers from the Young People’s Chorus of New York City will join The Crossing and the New York Philharmonic conducted by Jaap van Zweden in three world premiere, multimedia performances of Julia Wolfe’s Fire in My Mouth at David Geffen Hall January 24, 25, and 26. 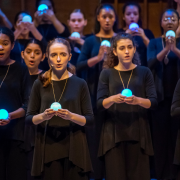 Young People’s Chorus of New York City will be featured in the Chamber Music Society of Lincoln Center’s production of the “The Girl Who Loved Wild Horses,” based on the enchanting tale of a Native American girl with a mystical connection to wild horses by Paul Goble. The Young People’s Chorus of New York City returns to St. Patrick’s Cathedral, where they will join the Glen Cove High School Select Chorale directed by Edward Norris, the Cathedral Choir under the direction of St. Patrick’s Director of Music Dr. Jennifer Pascual, the Cathedral Organs, and the New York Symphonic Brass in this cherished and much-anticipated celebration of Christmas. 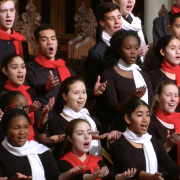 The Young People’s Chorus of New York City conducted by YPC Assistant Conductor Gia Gan returns to the Church of the Intercession to sing the musical prelude in its annual holiday candlelight reading of Clement Clarke Moore’s “Twas the Night Before Christmas” (A Visit from Saint Nicholas).